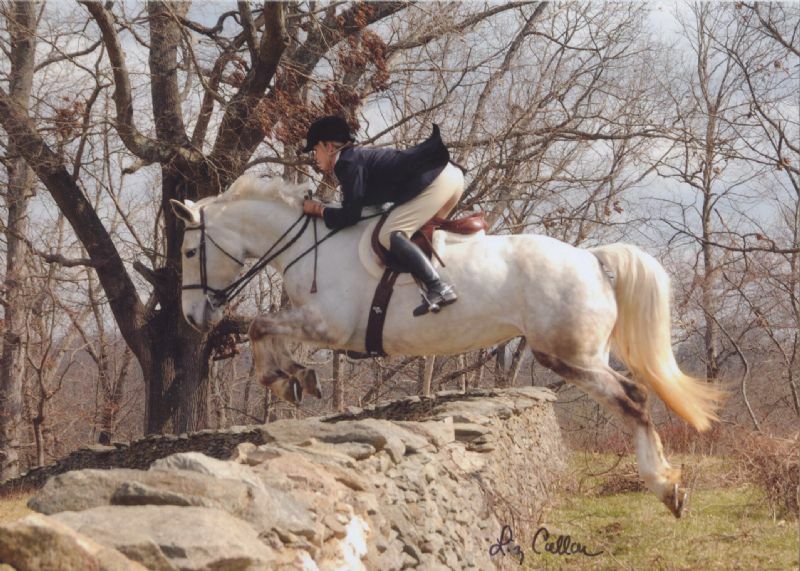 "Melanie" is a 2003, grey RID mare bred at Oak Hill Farm. She has huge, ground covering movement and is naturally athletic. She passed her RID inspection in 2005. She was broken in 2007 and has been hunted by both Brianne and Brandy. 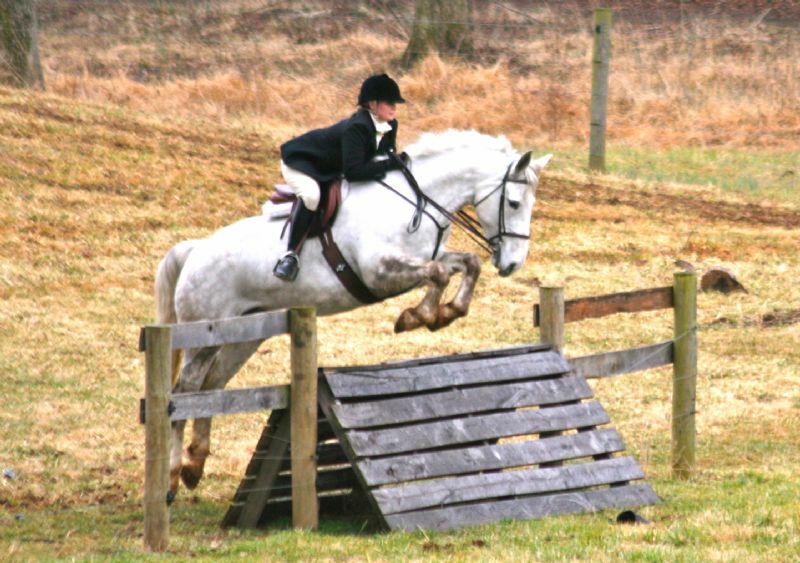 She is the world's best foxhunter and has charmed the packs of Loudoun, Loudoun West, Middleburg, Piedmont, Blue Ridge, Keswick, and Deep Run. All content Copyright © Bridon Irish Draughts LLC.